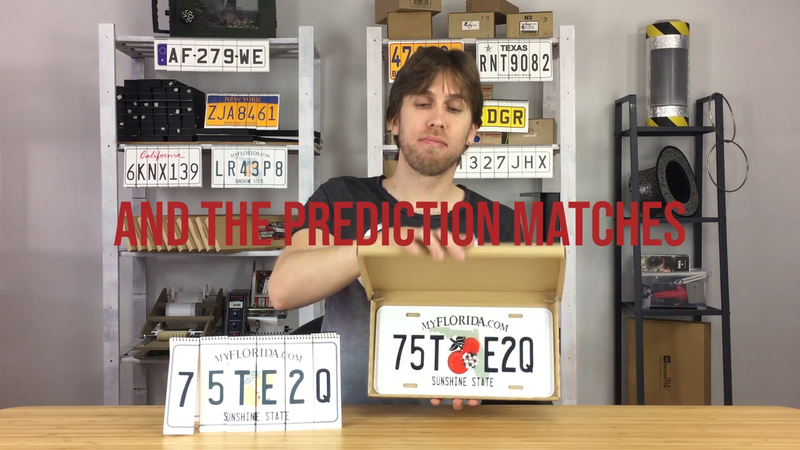 This is a prediction of an entire license plate with audience involvement! 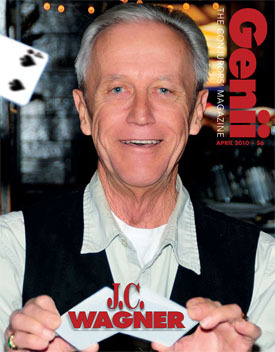 The magician shows different numbers and letters on a license plate-style pad. The combinations are endless. One or several spectators choose freely, a letter or number at a time, to create a unique license plate. Magically, the magician then reveals a metal license plate that matches the chosen one exactly! This can be themed as either the magician knowing ahead of time what license plate would be created by the audience, or the audience has some special ability to predict the license plate hidden by the magician! Packs very small but plays huge!